Cashback Reward : Earn up to 394$! 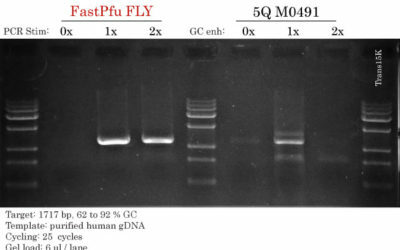 The 2x EasyTaq PCR SuperMix is a ready-to-use mixture of EasyTaq® DNA Polymerase, dNTPs and optimized buffer. The supermix is provided at 2x concentration and used at 1x concentration by adding template, primers and H2O. 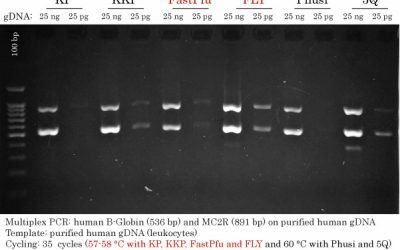 PCR products are unsuitable for PAGE. DNA loading dye is included in the mix for extra convenience – Load on gel immediately after PCR.